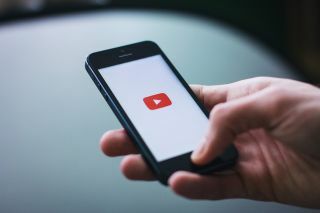 YouTube was the first Google product to receive the search giant’s Digital Wellbeing tools, which were announced during the Google I/O developer conference in May this year. These included notification management and reminders to take a break from the streaming platform. Google is now taking user wellbeing another step forward by adding a ‘Time watched’ profile to its video streaming platform to ensure you don’t waste hours of your life falling down the YouTube rabbit hole. Announced via a blog post, Google says that the ‘Time watched’ stats will give you “a better understanding of time spent on YouTube, so you can make informed decisions about how you want YouTube to best fit into your life”. How bad are your YouTube habits? The ‘Time watched’ statistics begin rolling out today and will be available under the user account menu. It will quantify how much of your life you've wasted on fail compilation marathons each day (daily average), as well as provide stats on how long you’ve spent watching YouTube – including YouTube Music and YouTube TV – today, yesterday and over the past seven days. But given these stats are based on user watch history, it’s likely you won’t get accurate data if you regularly clear your history. It’s also unclear how the stats would account for YouTube videos watched while offline. Moreover, users with multiple accounts will most likely need to log into their main Google account to check their ‘Time watched’ profile. Since Google considers this information important, the ‘Time watched’ profile will be prominently displayed under ‘Tools to manage your YouTube time’. This pane also includes notification monitoring and reminder settings. You can decide the maximum time you want to spend on YouTube and set a reminder to take a break to avoid bingeing, as well as decide to receive only a single notification containing your entire YouTube digest at a time of your choosing. You can also disable autoplay of the next video and switch off vibrations during a specified time period on the same pane.